Al Fahidi Historical District. 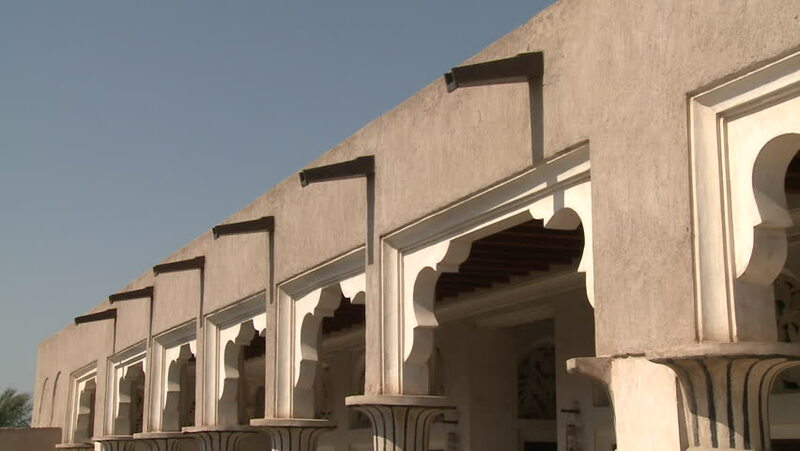 Tilt down/up on the loggia of a traditional Emirati house, which is decorated with arabesque architectural features. 4k00:13Pan shot to an abandoned apartment building without windows. hd02:40Muharraq, Bahrain - 2012 - Handheld walk through the streets of Muharraq between traditional houses.